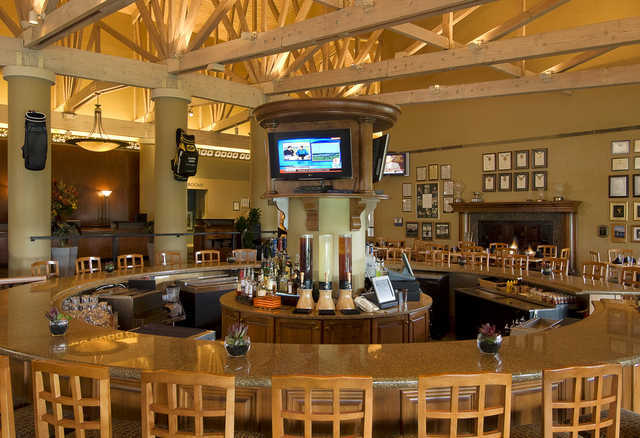 Overlooking the North/South Course, the Club at the Villas at Grand Cypress is comfortable gathering place that is great for a post-round get together. This family-friendly dining spot offers a relaxed atmosphere and simple, fresh options for breakfast, lunch, and dinner. The Club at the Villas at Grand Cypress is the place for a casual and satisfying breakfast, lunch, or dinner. It is perfect for a family brunch or an after-golf get together. On each menu you will find tasty options made of the freshest ingredients that even the pickiest eaters will find appealing, from freshly baked breads and pastries at breakfast to pan-seared NY strip steak for a luxurious dinner.